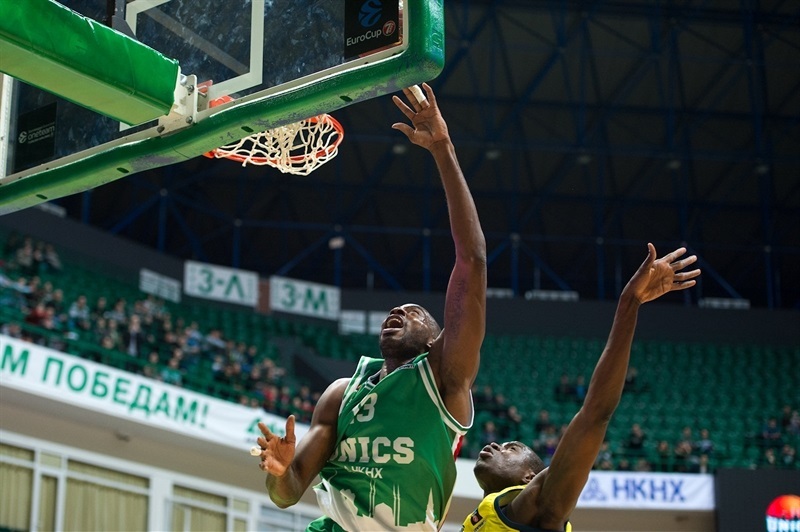 UNICS Kazan won its fourth game of the season by downing MoraBanc Andorra at home, 89-80, on Wednesday in a Group A game. UNICS is now 4-2 while Andorra drops to 1-5. 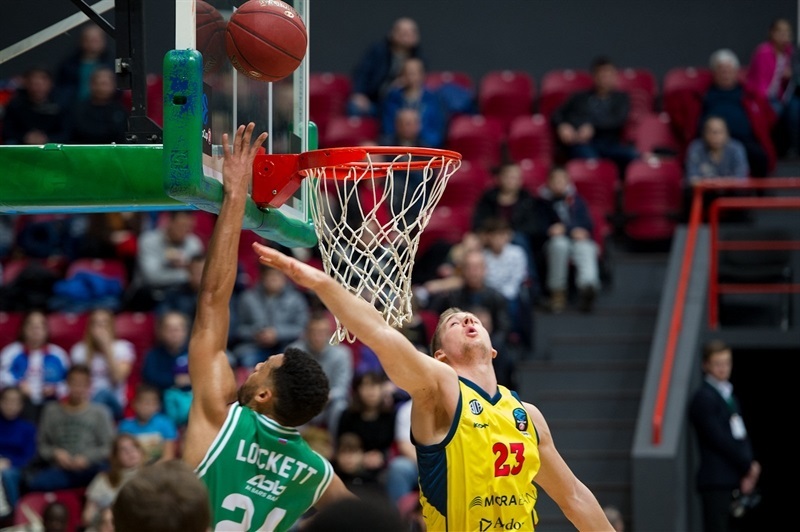 Jamar Smith led the winners with 21 points, Trent Lockett posted 17 and Stephane Lasme added 16, including his first three in 29 EuroCup games. For Andorra, Jaime Fernandez led the losing effort with 16 points, Moussa Diagne added 13 and John Shurna netted 16. 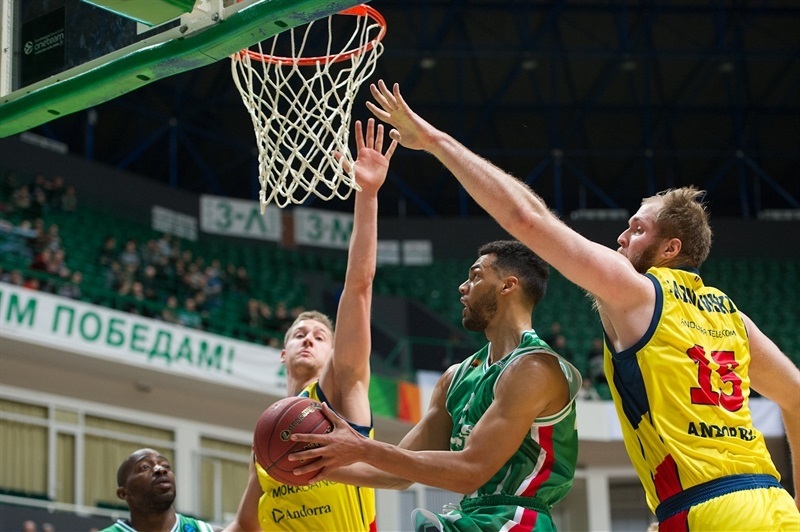 UNICS started dominating by 20-point leads, but a 2-18 run by the guests made it 71-77 in the last quarter until Smith's points put the hosts in a safe place for good. 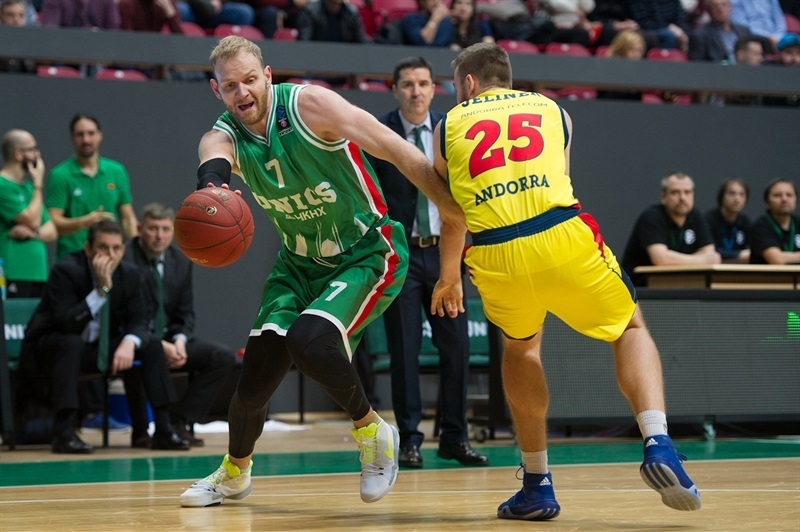 UNICS started the game rolling. Points came from all direction with threes by Quino Colom, Jamar Smith or Trent Lockett while Grigory Shukhovtcov also hit a pair of buckets from the paint. Andorra was struggling to keep up, as John Shurna scored 5 points of his own to make it 17-11. The guests were having a bad time from the arc, 0 of 7, and UNICS used it to push a bit more with quick offense, 24-14 after a Stephane Lasme free throws, but Jaime Fernandez capped the first video with a nice bucket to leave it at 24-16. Despite Andorra's efforts in the second quarter, UNICS started raining threes again including one from almost mid-court by Anton Ponkrashov, to make it 37-24 forcing the guests' timeout. 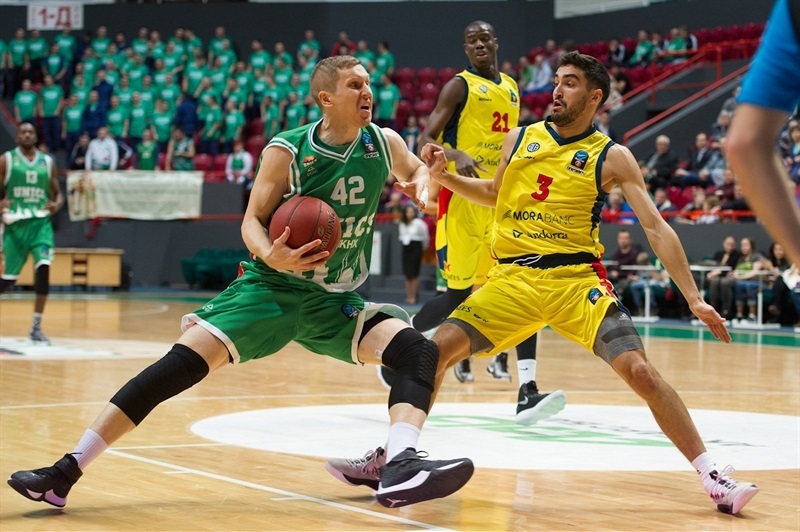 Jaka Blazic finally hit the guests' first three after 13 attempts, but UNICS was always finding an easy way through Andorra's defense for layups to stay ahead with no big worries, 49-31 at the break. In the third quarter, UNICS could keep the big cushion around the 20 points. Smith and Lasme were still scoring at ease, while Andorra tried to look for a more collective effort, but the struggle from the arc always kept the guests way too far behind. 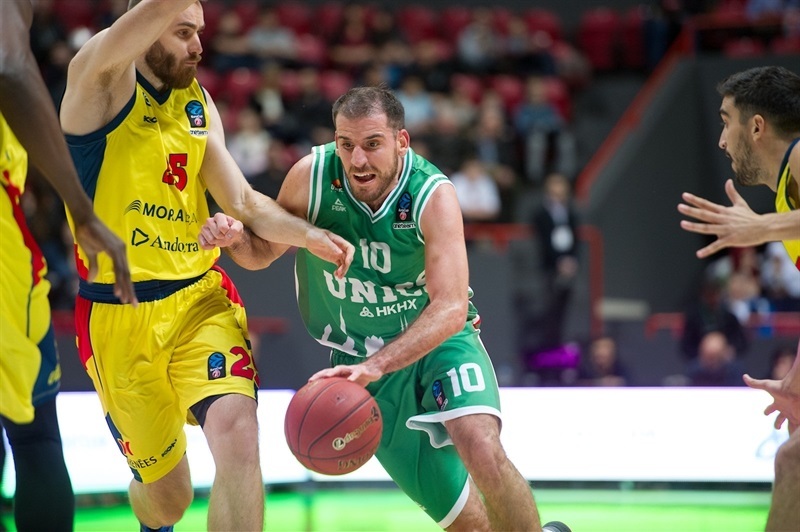 Lasme even hit a three for UNICS, his first ever in the 7DAYS EuroCup after 29 games, 75-53 after 30 minutes. Moussa Diagne was contributing some heart in the paint for Andorra, and Fernandez hit a three for a 2-11 run all of a sudden that set the alarms in Kazan. In fact the run kept getting bigger and bigger as Guille Colom capped it at 2-18 with his own three for 77-71 after 35 minutes. 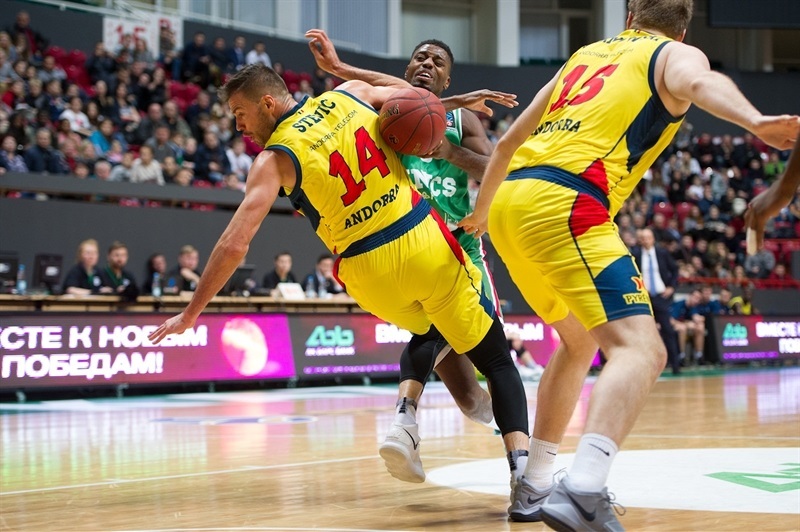 It was Ponkrashov who stopped the bleeding with a three, and then Smith punished the zone defense of the guests again from the arc to put UNICS again in a safe place until the end, despite Andorra's efforts to come back. "There were two sides to this game. It's important that we won, but our second half was really bad. We relaxed in the last quarter, we gave up many easy threes, and it is our problem that we don't play the defensive game. We only play offense. Everybody is active to play and participate, so I don't think that bench players on the floor was a problem. It was unacceptable but now we have some time to recover from some injuries." "It was a game we did not start well. Our mistakes in offense, especially form the arc, took our morale down. They scored easy and had 24, 25 and 26 points in the first three quarters. We didn't use fouls the right way. 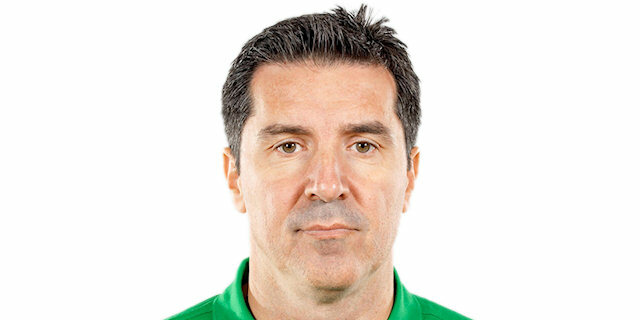 We have to keep the reaction we had in the last period, but that is not enough against a team like UNICS." "I think we played pretty solid during the first three quarters. We were winning rather easily. It was not our best game but we had it under control. Then in the last period we lost it, and they reacted thanks to our turnovers. They came back but we could claim the win. We have to be positive."